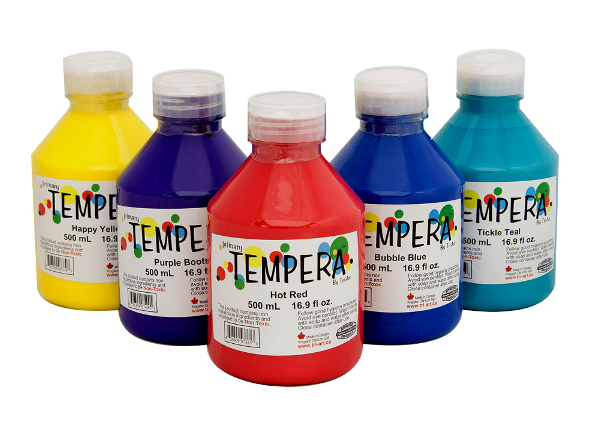 Ten vibrant colors are included in the Tri-Art Tempera Paint line and offered in sizes of 500ml, 1000ml or 3.78 liters (Gallon). They are manufactured with real pigments for optimum chroma, and excellent mixing characteristics that are not usually found in Tempera paint. The Tri-Art Tempera line also features excellent flexibility and adhesion to surfaces without dusting or cracking. Rex Art offers the Tri-Art Tempera line every day at great prices, and family friendly service!